This index is divided into two parts. Part 1 contains a list of texts in the Zhonghua Daozang (Taoist Canon of China). Part 2 contains lists of texts used as "base editions" in the Zhonghua Daozang. 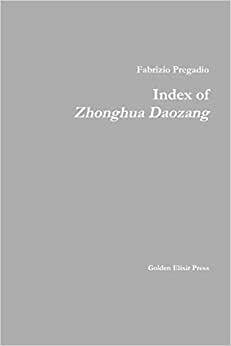 The index also serves as a tool to easily locate texts of the Zhengtong Daozang (Taoist Canon of the Zhengtong Reign-Period) in the Zhonghua Daozang.